I am not usually a puzzle person. If one is set up I will get drawn in. I was in a shop called Lovely Things in Portland, ME last week and saw this beauty by Geninne Zlatkis. Geninne is one of my heroes.. I love her blog and her shop on etsy. So I took the plunge. 1000 pieces! I want to do it to study her paintings. Beautiful. 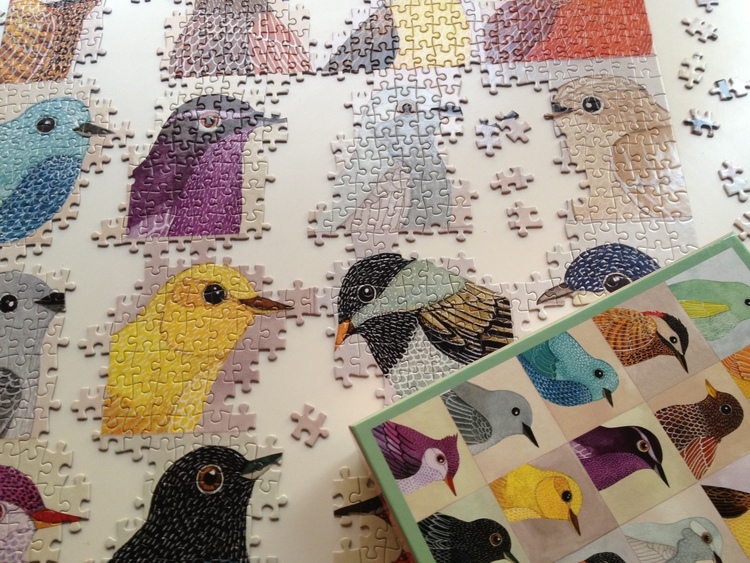 This entry was posted in Inspiration and tagged birds, puzzle, watercolors on May 18, 2014 by julesmeans.